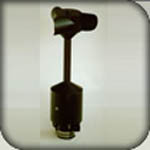 An anemometer is a device for measuring the wind speed. 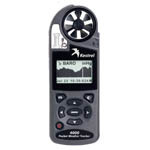 Anemometers can be divided into two classes: those that measure the wind's velocity, and those that measure the wind's pressure; but as there is a close connection between the pressure and the velocity, an anemometer designed for one will give information about both. Once submitted, we will try and place you in contact with a suitable Anemometers supplier within 48 hours. DIC-3 & BTC Anemometers from Robert E. White Instruments, Inc.
81000 R.M. Young UltraSonic Anemometer from Scientific Sales, Inc.
HAE IceFreeIII Heated Anemometer from Comptus Inc.